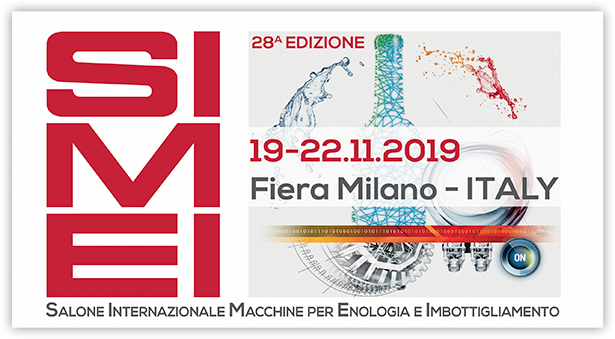 The Company, established in 1980 by entrepreneur Giuseppe Tardito is in one of the major world, UNESCO recognised, wine producing areas, and has been dedicated from its inception to producing quality machinery for washing and drying processes in wine bottling lines. Working at his father’s side initially, Luca Tardito formally joined the Company in the 1990’s. 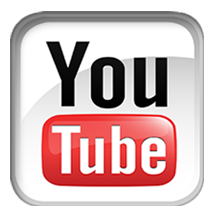 He has used his now considerable expertise to modernise the industrial processes using the latest technology, to meet mechanical and electronic specifications. Our company policies are the same as they have been from inception, the objective being to build plant and machinery guaranteed to maximum efficiency and reliability in the long term. Achieving the project aims involved the following crucial phases: machine design through the application of 3D development software for simulating the movements and physical format of the finished product; selection and use of high quality construction and maintenance components; technical and sales service designed to meet the client’s production requirements; speedy after-sales service by qualified personnel. 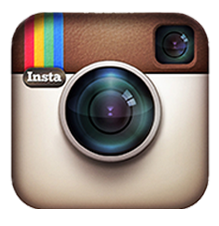 Complete semi-automatic bottling lines for wine, spirits and oils. 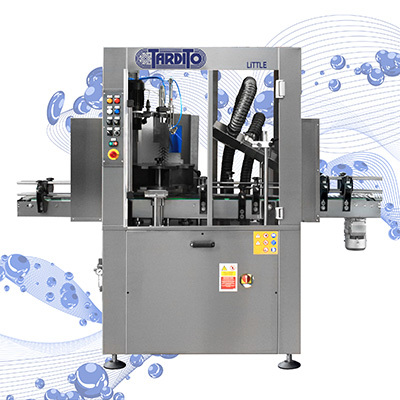 The model JT-09 is the smaller washing-drying machine for full bottles, designed to work at 550 bottles per hour. 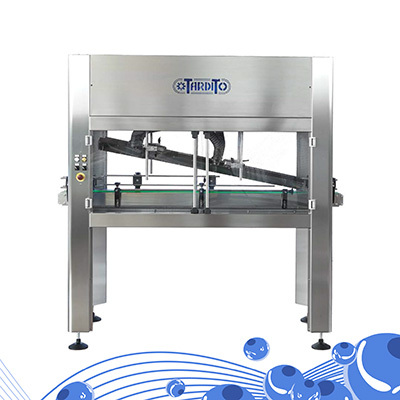 The bottle washing-drying machine model LITTLE has reduced sizes and user-friendly operation. It is dedicated to the small producer of wine and other products, who needs to clean bottles in stock from stains, dust, webs. This functional and compact machine has an output of 1,200 bph. 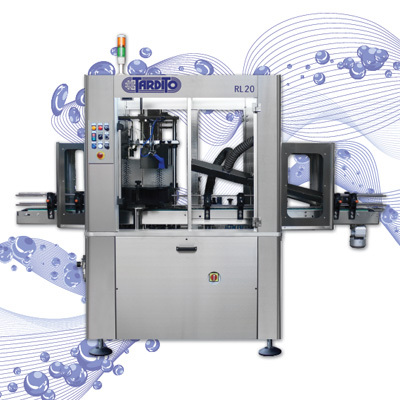 The RL20 washing-drying machine is composed of a single station, including a central star-wheel with step-by-step motion which transfers the bottles to the different positions for the washing and the drying actions. The output of this model is 2,000 bph. 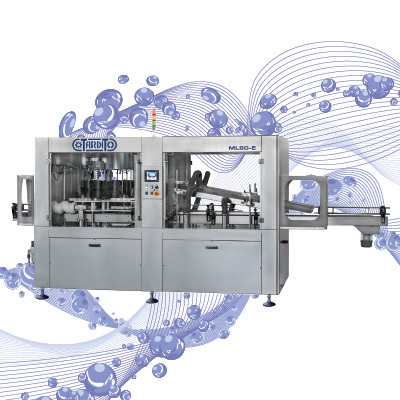 The RL30 and ML40 washing-drying machines for full bottles are conceived to be inserted in bottling lines up to 3,000 or 4,000 bph in order to guarantee a perfect cleaning of the glass before packaging. ML60 - ML80 - ML100 - ML120 washing-drying machines are available in different models to guarantee a production from 6,000 up to 12,000 bph. The bottle drying assembly mod. A20 is a ready-to-install compact tool for removing water drops and humidity from bottles and jars, after filling or pasteurizing operations. Output of 2.000 bph. The drying tunnels are commonly used in the beverage and food industry to remove water drops from the external surface of bottles and jars, after the filling or pasteurizing operation. The output goes from 3,000 up to 12,000 bph. This tunnel warms the filled bottles in order to reduce the temperature between the product and the external environment, therefore avoiding the formation of condensation. 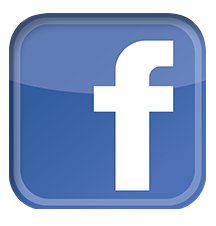 The output goes from 2,000 up to 20,000 bph. The manual rinsers mod. SM and mod. 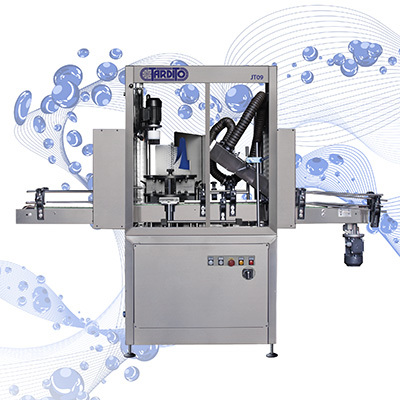 SSM are designed to rinse/blow empty bottles and jars before the filling operation. They are also available with recycling system for using a sanitizing or an alcohol based solution.. The manual blowing machine mod. SOM is designed to blow bottles and jars before the filling operation. This unit can be used for blowing nitrogen. The manual rinser mod. 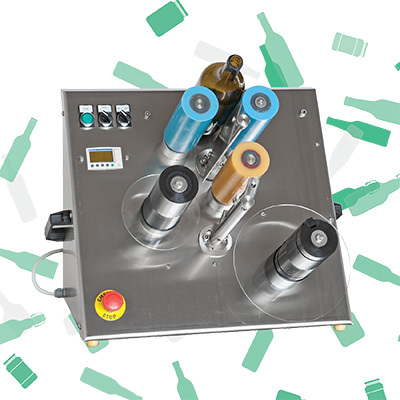 SMP is designed to rinse/blow empty bottles and jars before the filling operation with a recycling system for using a sanitizing or an alcohol based solution. The rotary rinsing machine mod. 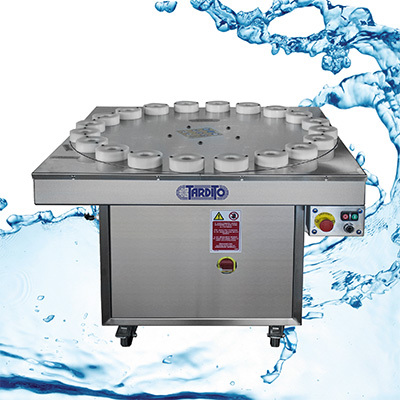 TP10 is designed to rinse new bottles, to clean the inside from powder and any small particle, prior to the filling operation. Output up to 700 bph. The rotary blowing machine mod. 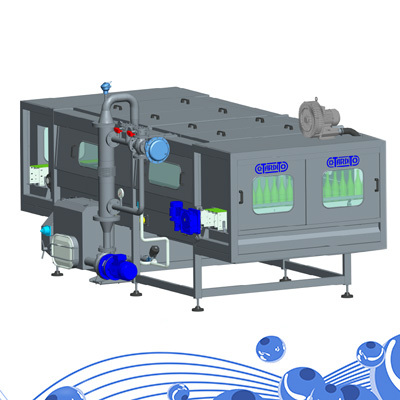 TP10/S is designed to blow new bottles with filtered air, to clean the inside from powder and any small particle, prior to the filling operation. Output up to 700 bph. The rotary rinsing machine mod. 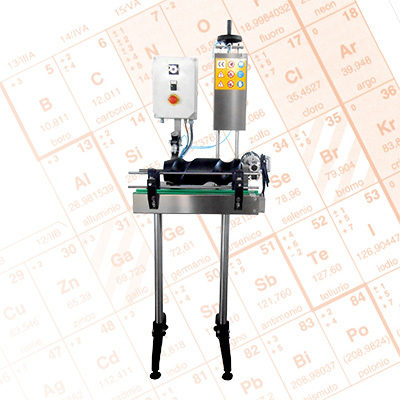 TP10/R is designed to rinse new bottles, to clean the inside from powder and any small particle, prior to the filling operation, with a recycling system for using a sanitizing or an alcohol based solution. In the wine industry, it can be used with a solution of wine and SO2. Output up to 700 bph. The semi-automatic rotary rinsing machine mod. TP is designed to rinse new bottles with water pre-filtered through micro-filtration cartridge of 0,45 µm to clean the inside from powder and any small particle, prior to the filling operation. The output is adjustable from 300 up to 1,500 bph. The semi-automatic rotary blowing machine mod. TP/S is designed to blow bottles prior to the filling operation of oil or other products, which cannot enter in contact with water. The output is adjustable from 300 up to 1,500 bph. The semi-automatic rinsing-sterilizing machine mod. 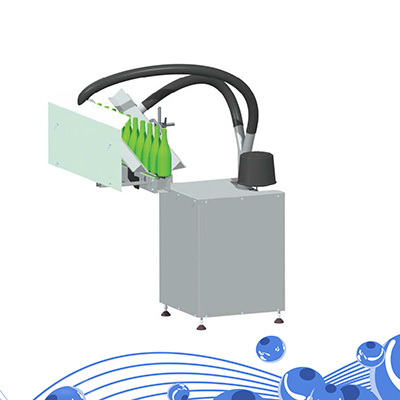 TP/R is designed to rinse new bottles and containers, to clean the inside from powder and any small particle, prior to the filling operation. The machine can be used with a sterilizing product or an alcohol based solution, with recycling after dripping. In the wine industry, it can be used with a solution of wine and SO2. The output is adjustable from 300 up to 1,500 bph. 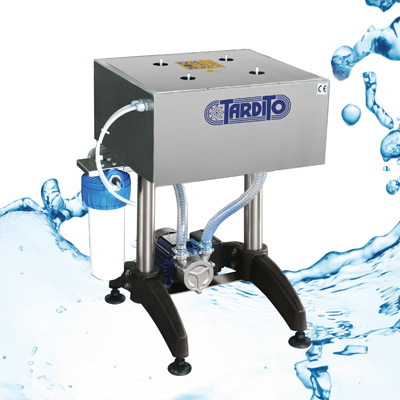 The rotary rinsing-sterilizing machine mod. TP/D is designed to sanitize and rinse bottles or jars, removing powder and any small particle, prior to the filling operation. 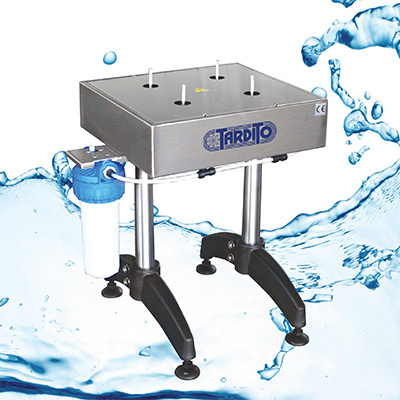 This model is designed for double rinsing treatment: after a first injection of a sterilizing solution - with recycling after dripping - the bottle is rinsed with pre-filtered water. The output is adjustable from 300 up to 1,500 bph. 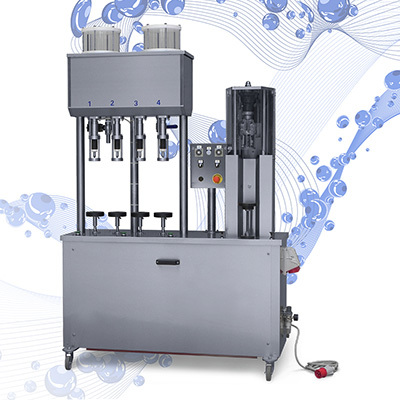 The linear automatic rinsing machine mod. 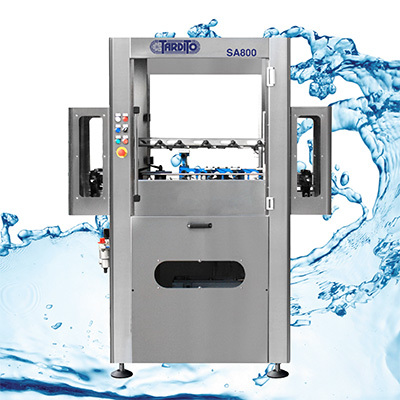 SA800, with independent loading and unloading of the bottles, works with a system of disposable water injection. Output 800 bph. Available also as blower or with recycling system. 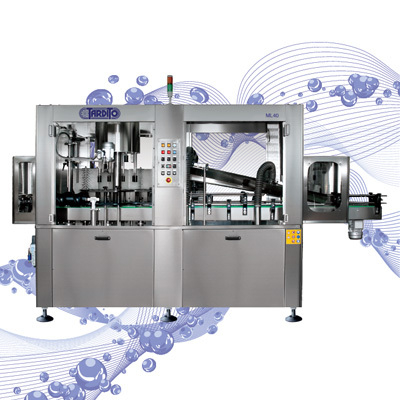 The linear automatic rinsing machine mod. 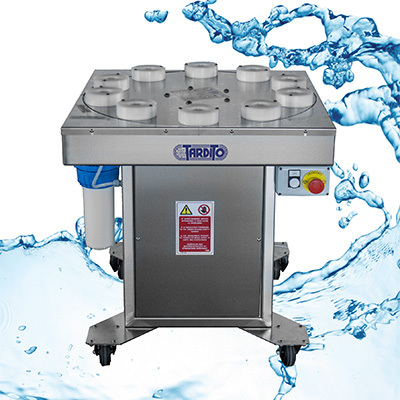 SA800/6, with independent loading and unloading of the bottles, works with a system of disposable water injection. Output 1500 bph. This automatic dosing station is a free-standing module including a conveyor frame, easy to be installed at the infeed of a bottling wine. This unit is designed to blow nitrogen into empty bottles before filling, reducing the contact between the product (wine or oil) and the air, to get lower oxygen pick-up. Output up to 1,500 bph. This series of equipment is designed thinking of the small oil / wine producers willing to start or increase their bottling facilities. The user-friendly operation at a constant output of 500 bottles per hour allows the highest flexibility in the bottling process. The semiautomatic bench-type labeller mod. ET-LAB is conceived to apply self-adhesive labels from a reel. The machine can apply a front label (a full wrap-around label is possible too) and a back label, if positioned alternate on the same reel. TARDITO S.a.s. di Tardito Luca & C.
Please fill in our enquiry form to contact us. All fields marked with an asterisk (*) are required. By submitting this form, you authorize the treatment of your personal data, which will be treated in compliance with Legislative Decree no. 196/2003 on protection of privacy.